So we have a thread about hats but no thread dedicated to wheel building. 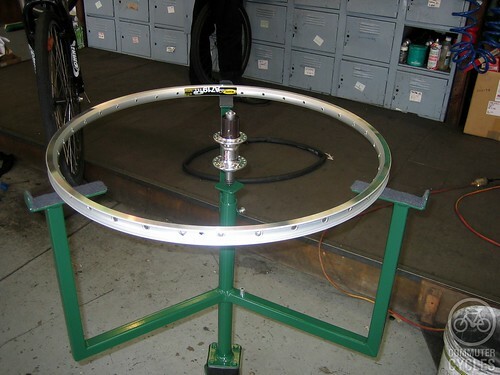 Post you rim, spoke, hub, lacing questions here. It would also be nice to hear from other people who build their own wheels and tips and tricks you use. I’ve built and number of track wheelsets but its time for me to embark on my first road wheelset. Im going all in as it will be my racing wheelset for road, clims and crits. Here are my component choices so far. My rims will be 38mm 3k carbon tubulars from Archteks.com 20h front and 24h rear as I’ve heard good things about them, they’re well price at $260 for the pair including postage and they weigh 320g each. Hub wise I’ve gone with Circus Monkeys as again I’ve only heard good things about them, they’re cheap ($142 including postage) and only weigh 302g for the pair. Spoke wise I’m torn a little. Still can’t decide wether to go with the more expensive Sapsim CX Rays or DT Revolutions. I’m leaning more towards the Sapims due to them being stronger and aero bladed but they are more than double the price. Any recommendations welcome. Regardless I know I will be lacing the front radial and the rear radial NDS and 2x DS. Overall I’m hoping to have the build come in at under 1200 grams which would make them awesome all rounders. Stay tuned for build pics, weights, ect. Where are you going to order spokes from? I need some too so maybe we can combine shipping to save cash? I was looking at wheelbuilder.com do you know of anything better? 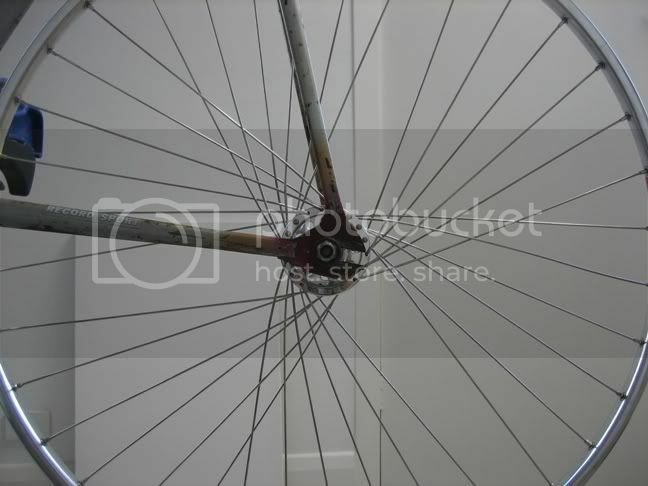 nice idea for a thread , i have a question, the rear rim on my mtb needs 4 new spokes , do i need to loosen the other spokes before i tension the 4 replacement spokes ? Idk bout roadie spokes, but I’ve heard horror stories of DT spokes snapping easier than the twigs jammed through them during mtb XC races. What’s the brand that starts with a P? or another letter like P.
I’ve used Wheelbuilder before and will again for this build, from memory their postage is pretty steep though so combining the shipping is fine by me. I’ll hopefully be ordering mid next week so i’ll let you know before i do. Nothing wroung with Dt’s Dylan they are the market leaders in highend spoke production, having said that Sapim make great spokes. I would lean toward the CX Ray spokes just because the high tension needed to build a reliable low spoke count wheel is hard to acheive with triple butted spokes. When you are building them they wind up heaps and are hard to detension completely, whereas as bladed spokes can be held easily when you are racking up the tension in the final phase of the build. I built a set of 28 hole triple butted spoke wheels DA on Open Pro and they constanly were going out of true my two cents. Thanks slinky i was thinking the same, i guess i’ll have to dig a little deeper for the CX Rays. That was well worth the read too Dave, nice job indeed. i have my hubs picked out… Extralite UltraHubs SP/SPM. I’ll sticky it in the HELP section so it doesn’t get lost amongst the booze, coffee, my music and hats. That’s pretty serious stuff sugarkane. Those Extralite hubs are amazing but a bit much for me at the moment. I’m hoping i can complete my build for around $600. Built my first set of wheels a few months back for my McBain. 36H Maillard hubs - new bearings, polished. Mavic Module E rims - polished…never again. DT Swiss Competition double butted spokes. Purchased at Commuter Cycles who also confirmed my length calcs. Three cross pattern up front, three leading three trailing for the rear. Took way too long and tested my patience, but gained so much knowledge on how a wheel works. Always had the thought that they wouldn’t hold up on the street, but so far they’ve been great. Three cross pattern up front, three leading three trailing for the rear. It’s often said that 3L3T shouldn’t be used on a rear wheel. Have you noticed any issues while riding it? P!N20, I’m assuming the above photo was taken during construction and before final tensioning? Please tell me it is so. 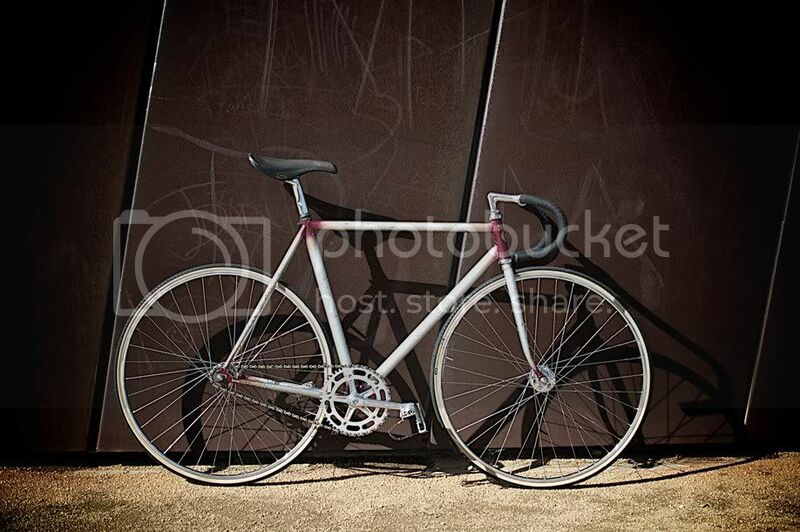 Pretty interesting build, I’d like to hear your further thoughts on whether its good to ride. Tension stable? Spoke issues unwinding, untensioning? Particularly, lateral stability based on whether there’s undue flex from one side or the other? P!N20, I’m assuming the above photo was taken during construction and before final tensioning? Please tell me it is so.